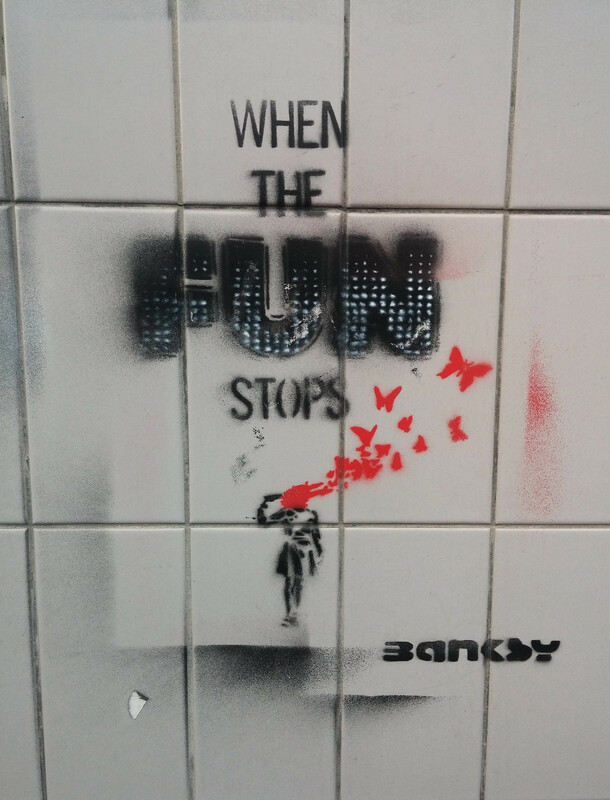 In December 2018 world reknowned artist Banksy paid his first official visit to Wales and used the excuse of the Severn tolls being removed as part of the reasoning! 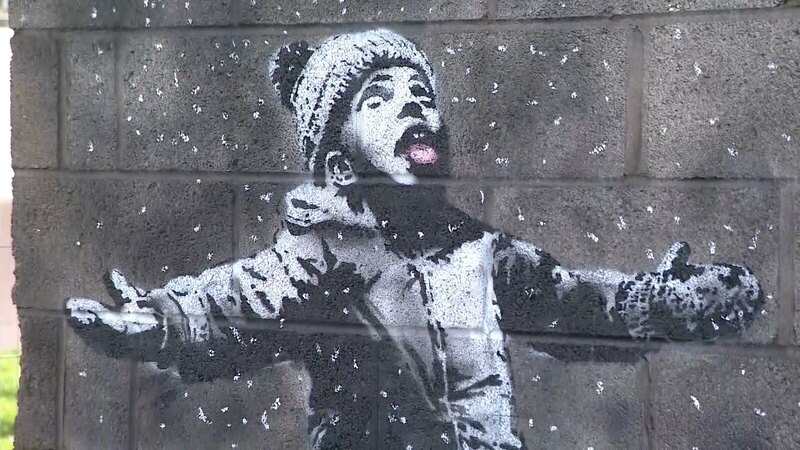 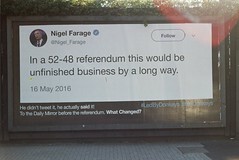 He revealed his latest work in the industrial town of Port Talbot – set on the side of a breeseblock garage which featured a child playing in what seemed to be snow but infact was some ash emanating from a burning container. 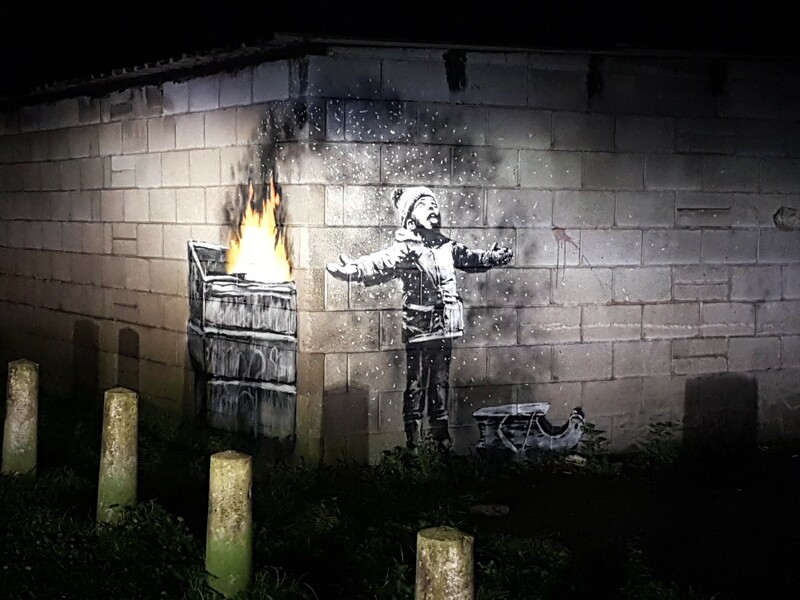 As Banksy was born and bred in Bristol, which is just a short hop over the Bristol Channel, it begs the question – is this really the first time the artist has visited Wales? 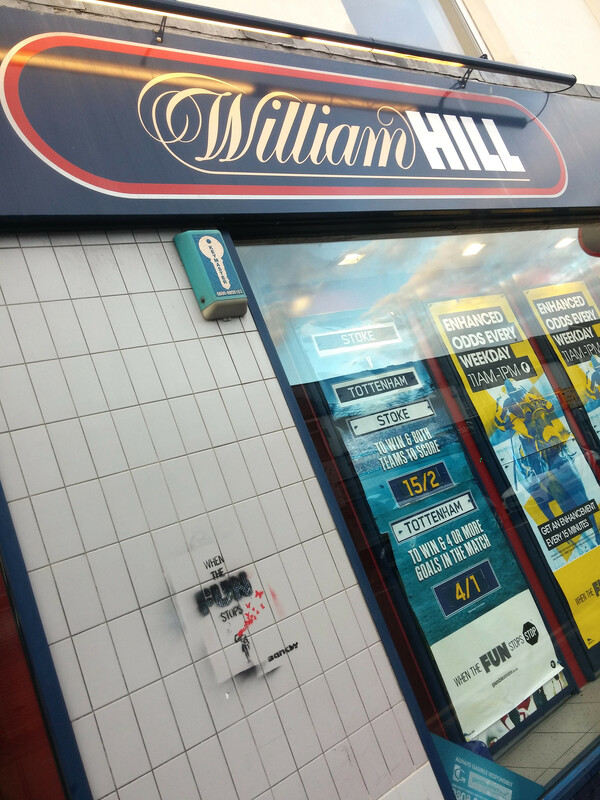 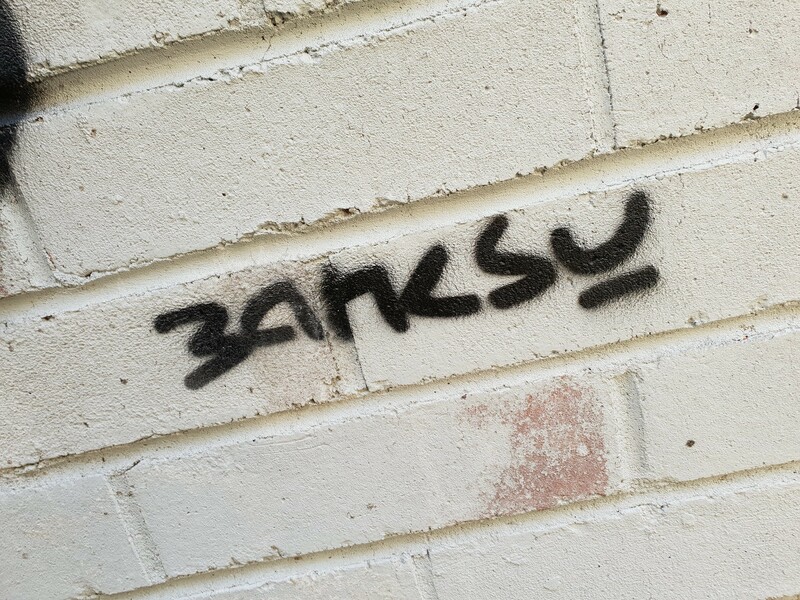 Is some of his previous work still visible or are people jumping on the Banksy bandwagon? 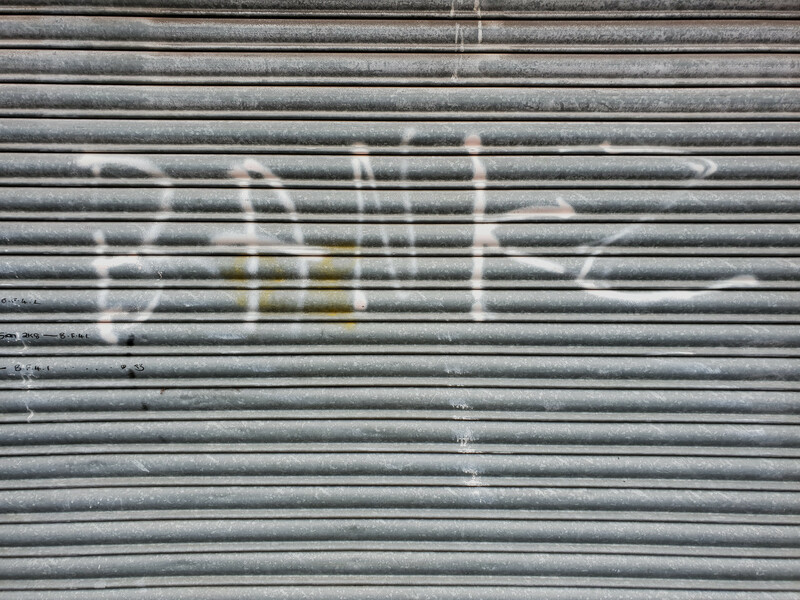 On some corrugated garage doors in the Riverside part of Cardiff someone has sprayed the word ‘BANKZ’. 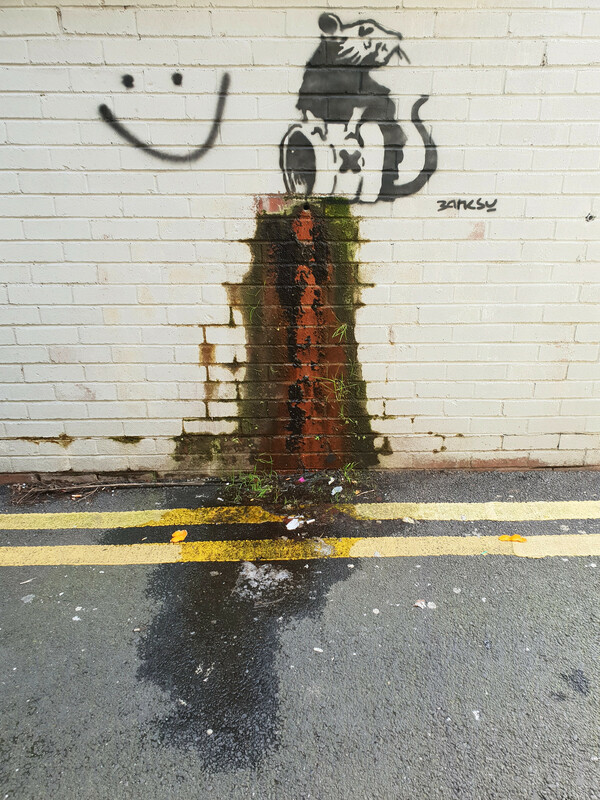 It’s a very crude interpretation of the artist’s work and has been here for a few years now. 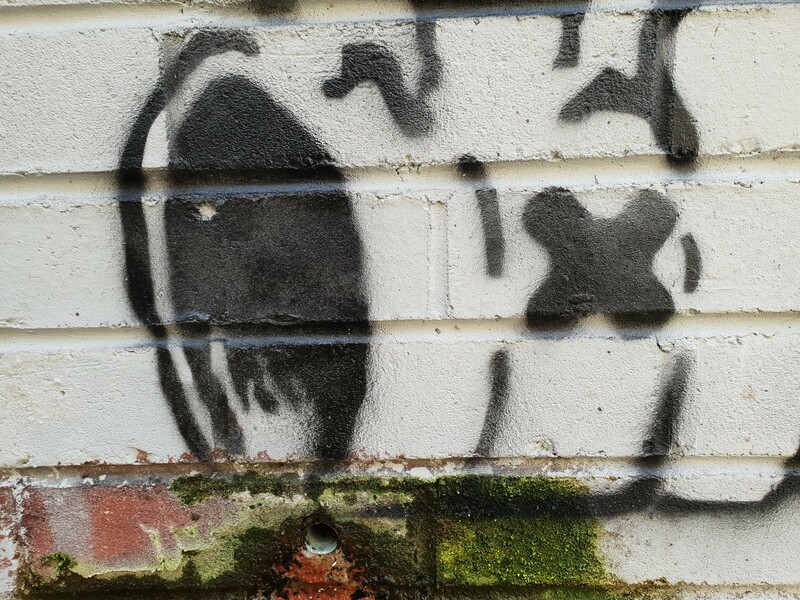 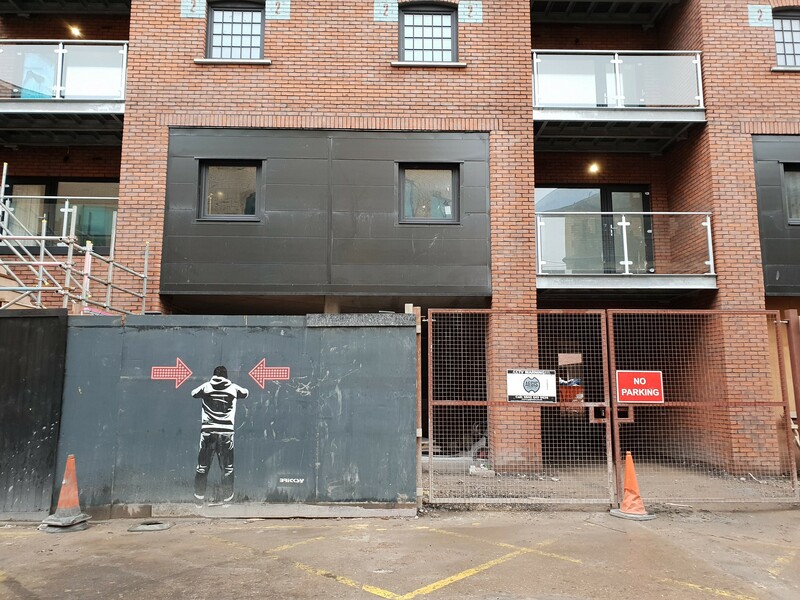 Whereas below another aritst has paid tribute to Banksy and his style of stenciling in a commission for a new development just behind Cardiff Central train station. 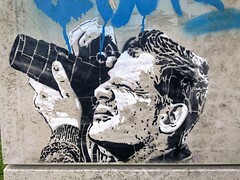 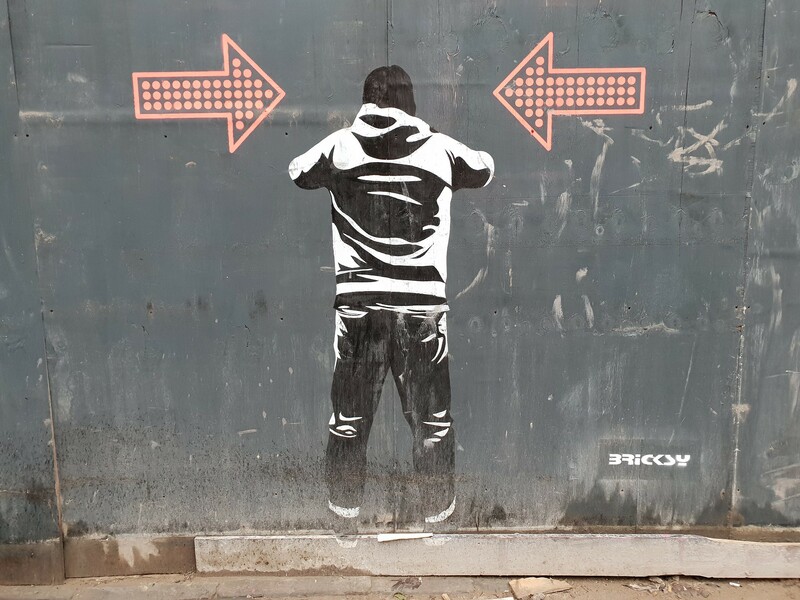 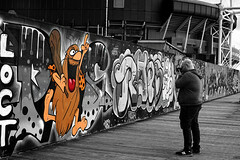 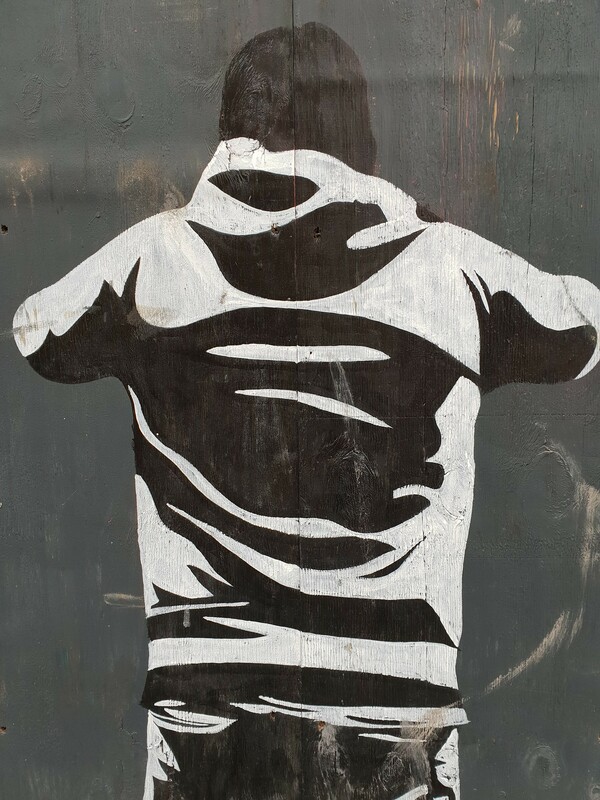 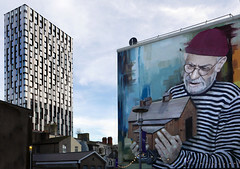 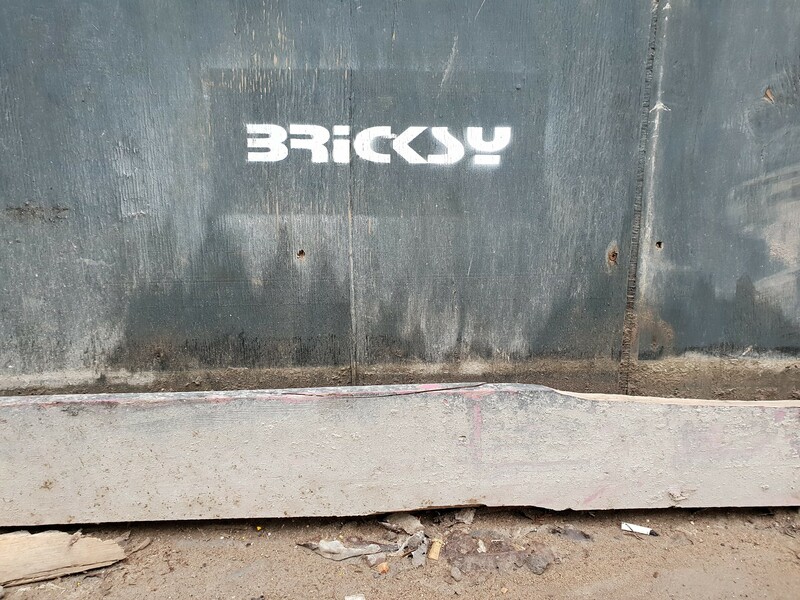 A monochrome stencil shows a man trying to rip open the wooden hoarding and has playfully signed it ‘BRICKSY’ paying homage to the famous artist. 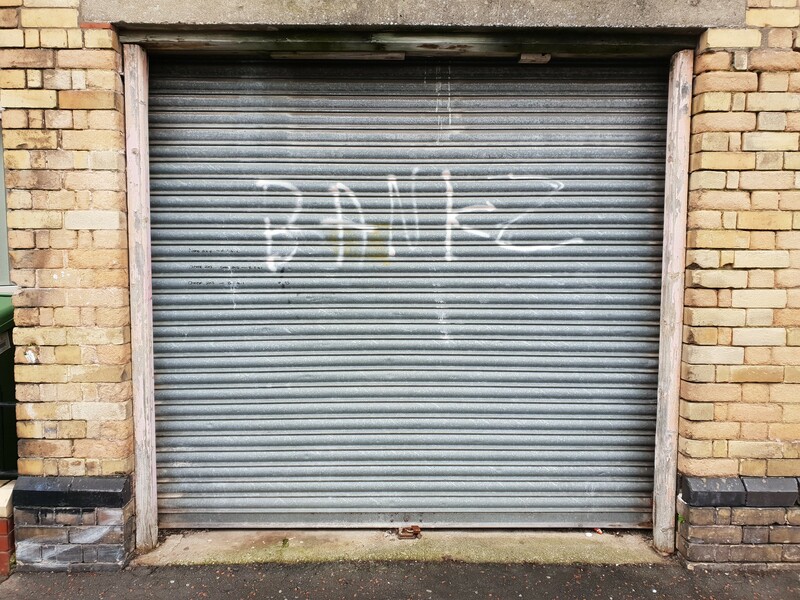 It’s not clear whether this work is tagged with ‘BANKSY’ or ‘BANKBY’? 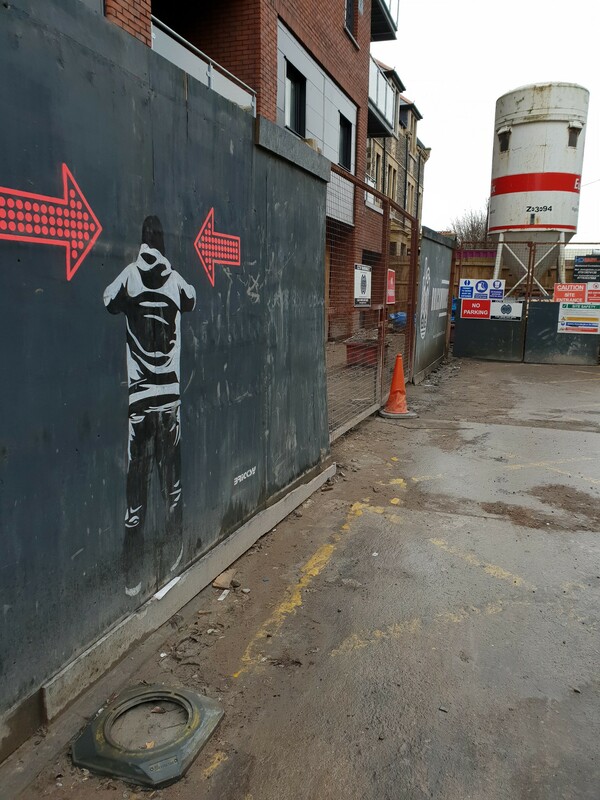 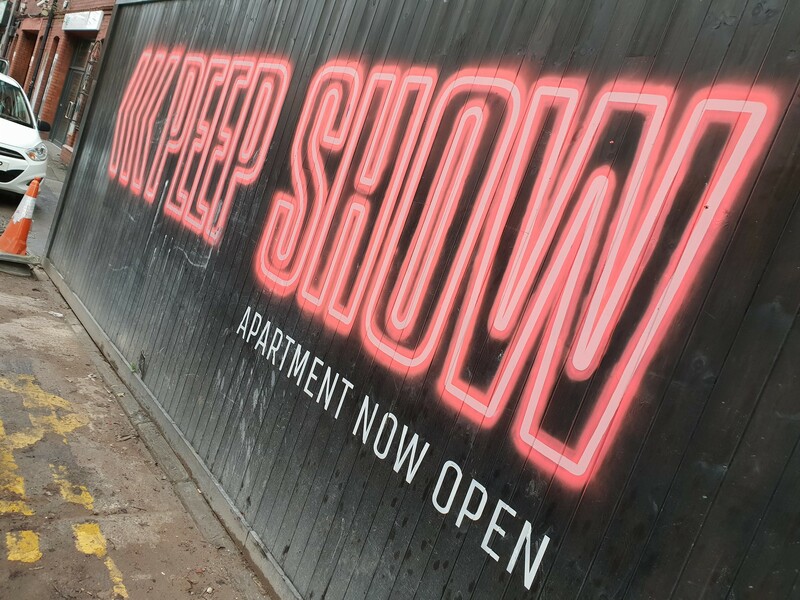 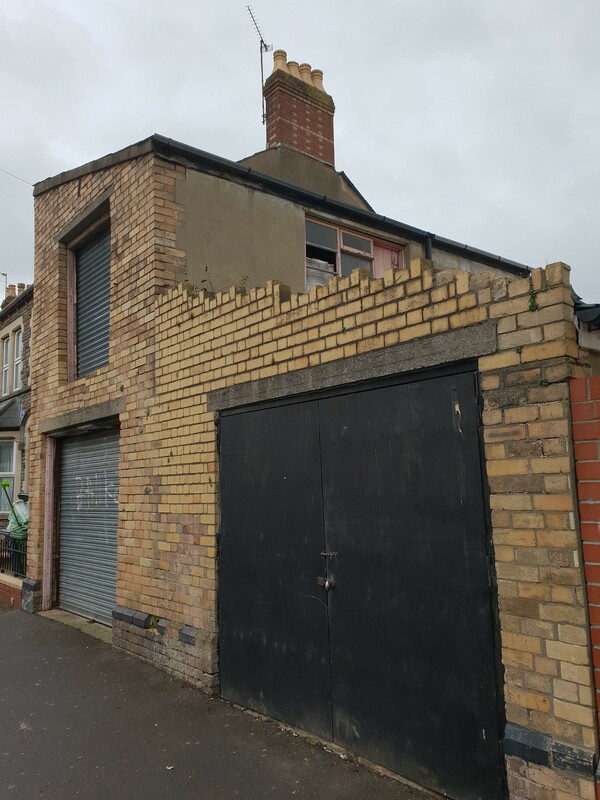 The most authentic piece of street art that has appeared since Banksy’s official Port Talbot piece is this work set just off Cowbridge Road – also in the Canton part of the city. 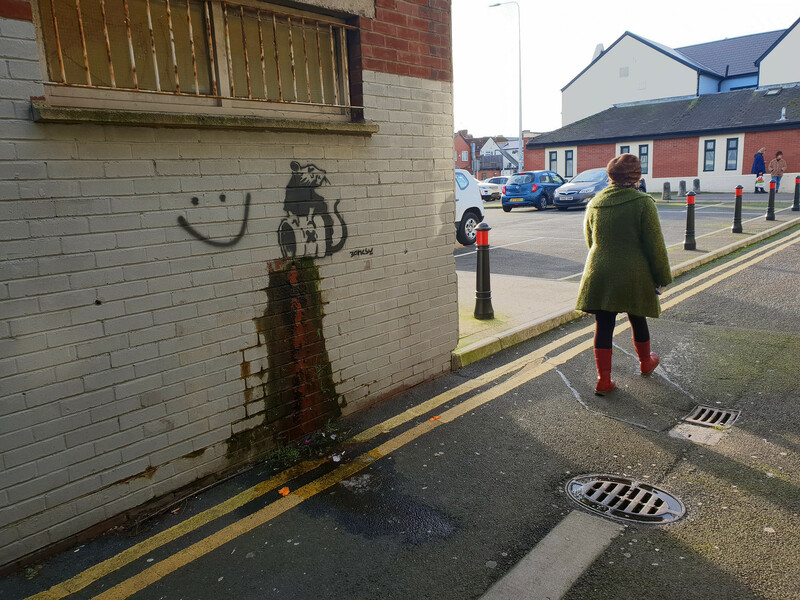 Set in a back street lane this artist has stencilled a rat holding a container and positioning it on the wall so that the overflow pipe creates a live effect of a liquid flowing from the pipe. 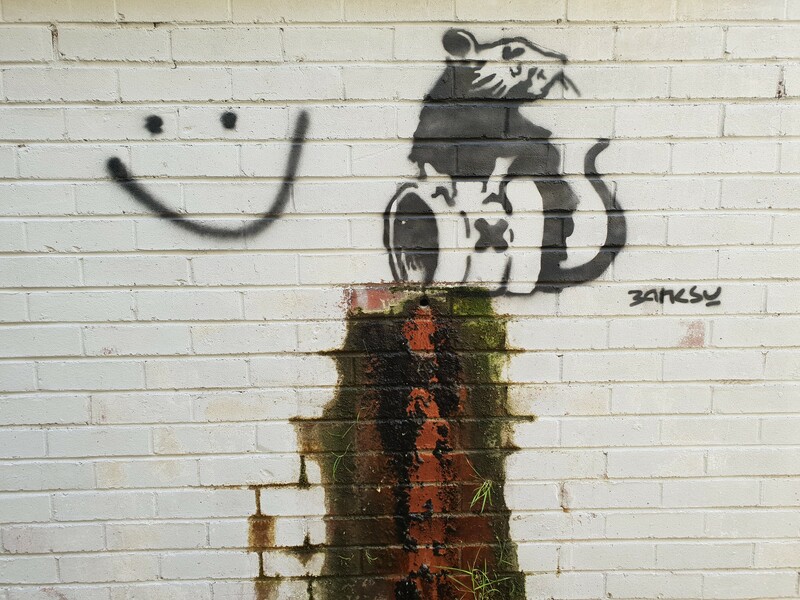 This work is rather convincing as a Banksy and also contains an actual Banksy tag too. 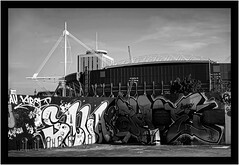 Kirsten McTernan has also captured what seems to be a rather crude work from a so-called copy cat artist in the Cathays part of Cardiff. 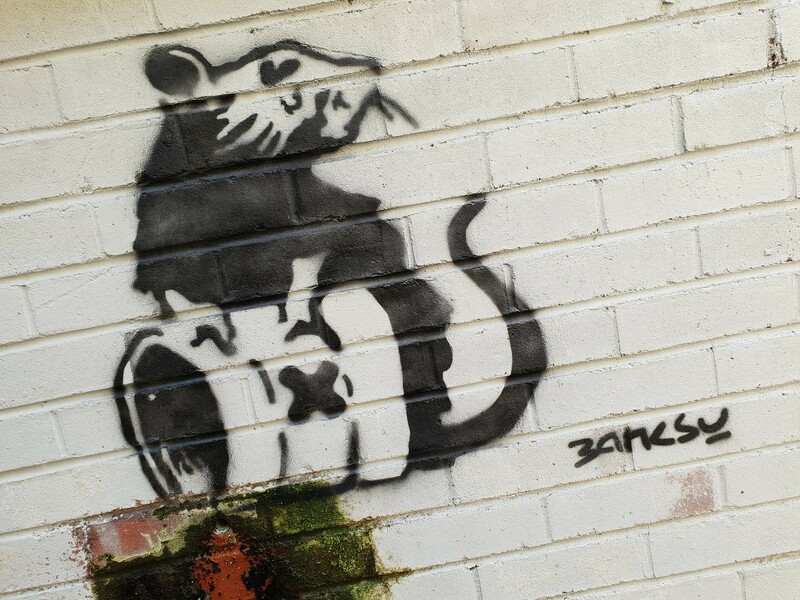 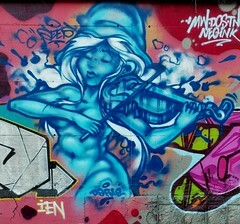 Banksy or Wanksy on this one?